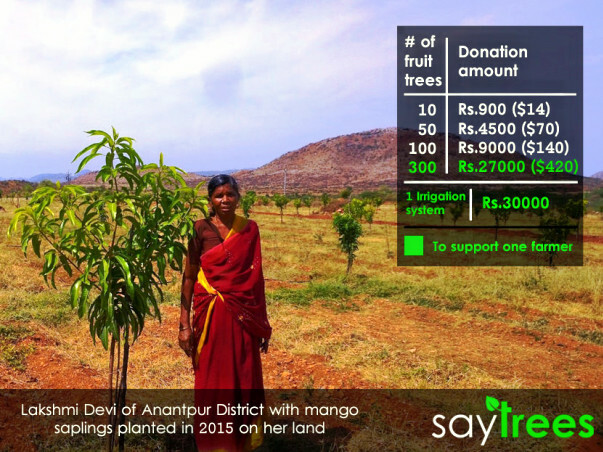 Your donation would enable us to plant fruit saplings with farmers and support them with sustainable income and also increase the green cover of the area which in turn will hold water, bring rains and improve water table of the area. Meda Mallaiah lives in Peddanna Vari Palli villages of Talupula Mandal in Anantapuramu District of Andhra Pradesh. He has 4 acres of ancestral land where he had been growing peanut crops for decades. Continued neglect of the agriculture sector, unfriendly farming policies along with changing climate conditions added discouraged farmers to practice agriculture. Mallaiah's land had been left vacant for about 5 years now. Mallaiah's story is not an isolated story but it's a harsh reality of the looming farming crisis. 2016 has been the hottest year ever. Many villages faced droughts. Agriculture sector continues to suffer putting more and more farmers at risk. But this is not a crisis for the farmers alone. It is our crisis too and it's our responsibility to do something for our farmers who work hard so we can eat. These issues need a permanent solution. A solution that would bring out a sustainable solution. A solution that would automatically fix all problems. Trees are answer to all issues. More trees bring more rains. This would improve water table of the area. Which improves the soil conditions. Forest can act as ground water reservoir. Benefits of trees are amplified if the trees yield fruits which the farmers can sell to have a sustainable/parallel income. These income can be minimum of 1 lakh rupees per year. An additional income will support the farmers and help them to lead a better life. Planting fruit trees has many benefits to farmers and also to environment. Increased green cover will change the face of few drought hit villages. Shelter and fodder for the animals and birds. What's this fund raising about? 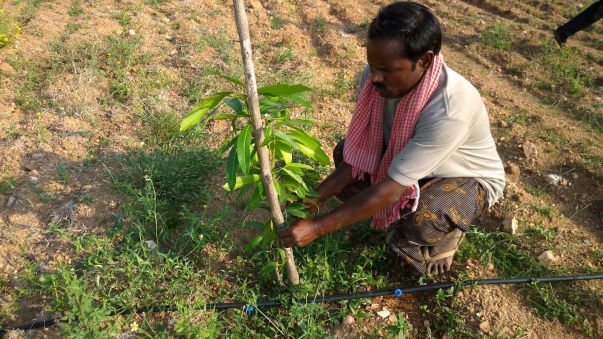 In next 4 months, SayTrees will plant 10,000 fruit saplings with about 50 farmers in Anantpur district of Andhra Pradesh. 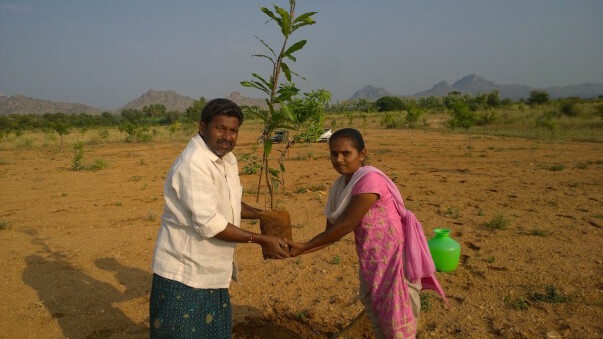 We planted 4000 saplings last year with 11 farmers and all saplings are doing well. Along with saplings we will support 10 needy farmers with irrigation equipment's. How will the farmers be identified? Our partner from Anantpur district, GreenTree Foundation, has been working in the area for more than 20 years. They help us in identifying farmers who have shown interest to plant fruit saplings in their land. Farmers are made aware about the benefits of agroforestry and after this only saplings are planted with them. How will you know about the status of the saplings? SayTrees will be sharing pics of the plantation with donors. Same will be shared 1 year from the date of plantation to show growth of the saplings. Where are the farmers located? Farmers are from Kadiri area in Anantapur district. Some villages are Talupula, Madika palli, pools vandal palli, OBR Palli etc. Few villages near Kadapa are also being considered. Utilizing funds to plant saplings with farmers of madurai, TN. We will share a detailed update shortly. 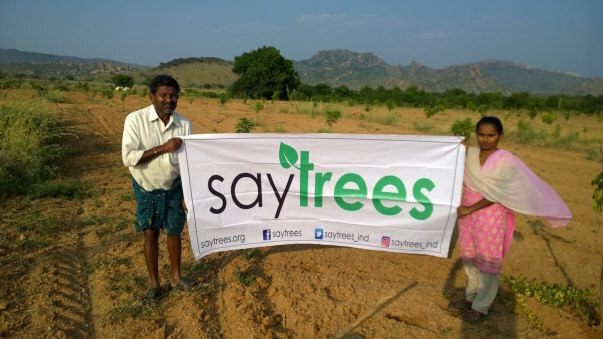 The villages identified for planting trees are Adiri village in Anantapur district, Andhra Pradesh and Bagepalli village in Karnataka. 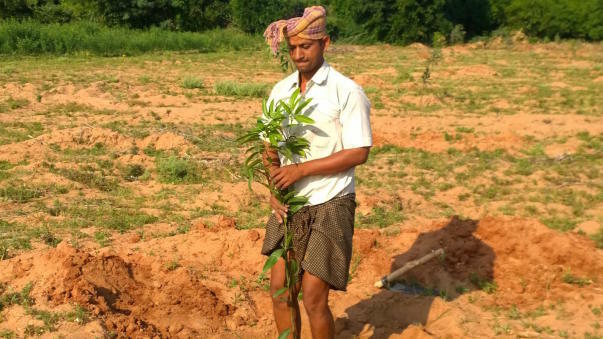 The plantation of saplings started in the second week of October and is currently ongoing. A total of 7000 saplings have been planted till now. Durgesh Agrahari, Head of Partnerships and Projects was present for the plantation. The farmers identified have now understood the importance of agroforestry. The intended impact of the campaign will be realized two years from now. The photos from the plantation drive are put up below. Plantation started 2 weeks back and we have to plant 7000 fruit saplings. We have planted till the last week with all the farmers, except two. Waiting to get pics from the village team. Will update the pictures once all the donors are there and the internet is fast.